The Rev. 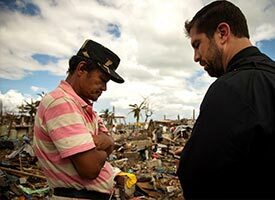 Ross Johnson, co-director of LCMS Disaster Response, gives an update from the Philippines on the Synod’s response to Typhoon Haiyan. The Rev. Glen Merritt and other LCMS Disaster Response staff visit “a totally devastated area” on the southern end of Leyte, the Philippines. 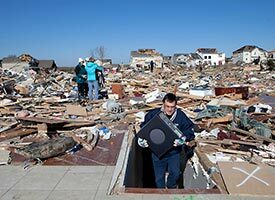 The $10,000 grant from LCMS Disaster Response to St. John’s Lutheran Church, New Minden, Ill., will be used to help survivors get back on their feet after deadly storms rip through five states. The Rev. 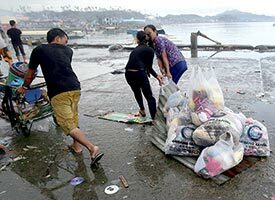 Glenn Merritt, director of LCMS Disaster Response, reports from Tacloban City, the Philippines, that conditions remain dire 10 days after one of the strongest storms in recorded history tore through the island nation. 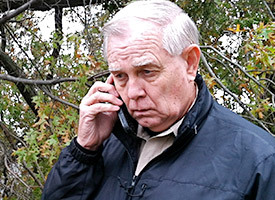 Listen to his stark report which Merritt was able to make upon finding a clear cell signal while on his search for fuel for the vehicle carrying the LCMS relief-assessment team. The Rev. Tom Heren, pastor of Our Savior Lutheran Church in Washington, Ill., describes the effects of the F-4 tornado that tore through his town Sunday, Nov. 17, 2013. 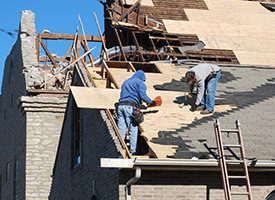 No LCMS members were injured by the multi-state storms, according to initial reports, but the homes of at least 17 Synod families sustained severe damage. 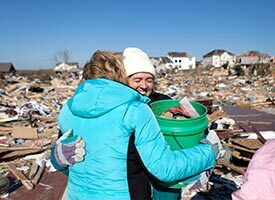 Savage tornadoes tore through the Midwest Sunday, Nov. 17, 2013, taking at least five lives and demolishing hundreds of homes, churches and businesses in Peoria, Ill., and other cities in several Midwestern states. 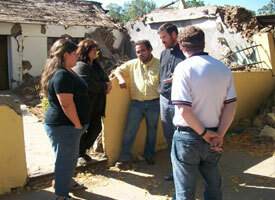 LCMS Disaster Response is preparing to assist those affected by the tornadoes. In this Skype report from the Detroit airport, Deaconess Pamela Nielsen of LCMS Communications talks with two of The Lutheran Church—Missouri Synod (LCMS) disaster response team members who left Friday, Nov. 15, 2013, for the Philippines — the Rev. 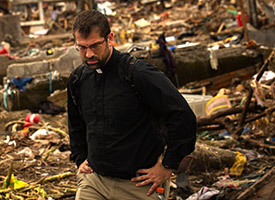 Ross Johnson, director of LCMS Disaster Response, and the Rev. 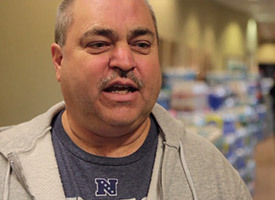 Michael Meyer, manager of LCMS Disaster Response. The Rev. 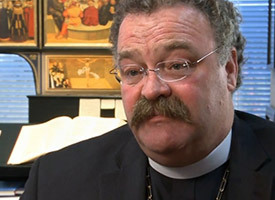 Ross E. Johnson, installed Nov. 13, will succeed the Rev. Glenn Merritt in the post. The Rev. 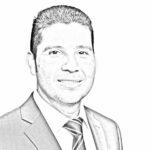 James Cerdeñola, president of the Lutheran Church in the Philippines (LCP), shares this update in the aftermath of Typhoon Haiyan, which wreaked havoc across the Philippines on Friday, Nov. 8. Rev. 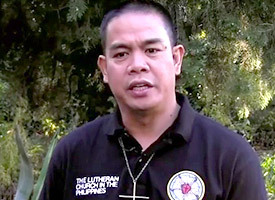 Cerdeñola has been in contact with LCP officials, Mindanao District officers, as well as the local ALERT team (Active Lutherans Emergency Response Team) as they mobilize in the Philippines to extend the mercy of Christ. 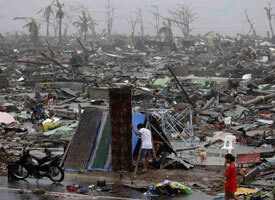 These images from the Associated Press show the destruction ravaged by Typhoon Haiyan as it barreled across the Philippines Friday, Nov. 8, 2013. 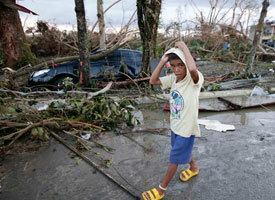 News reports indicate that more than 10,000 people are feared dead. 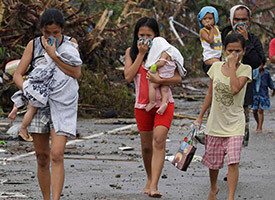 The LCMS partner church in the Philippines has three congregations in areas hit hardest by the massive storm, with destruction and damage reported to members’ homes and church property.